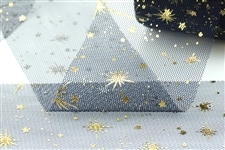 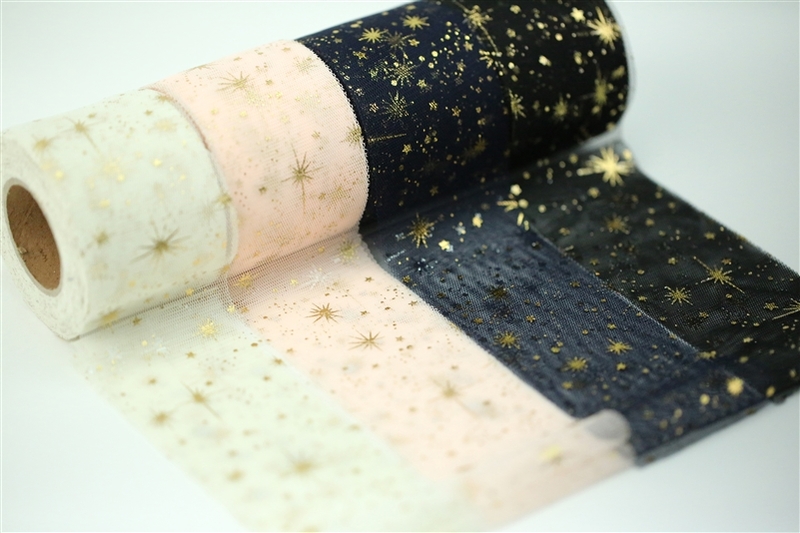 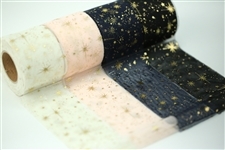 This ultra soft tulle is decked with gold foil stars throughout. 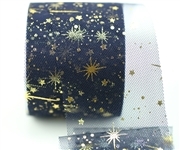 Use this to make beautiful hair bows, tutus, or jazz up an outfit. 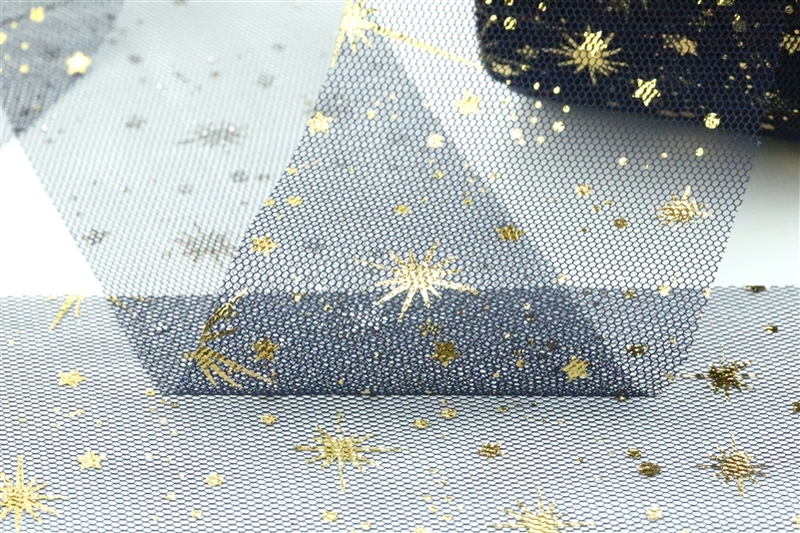 Gold star is silver on the reverse side so flip it over if you prefer a design with silver stars!